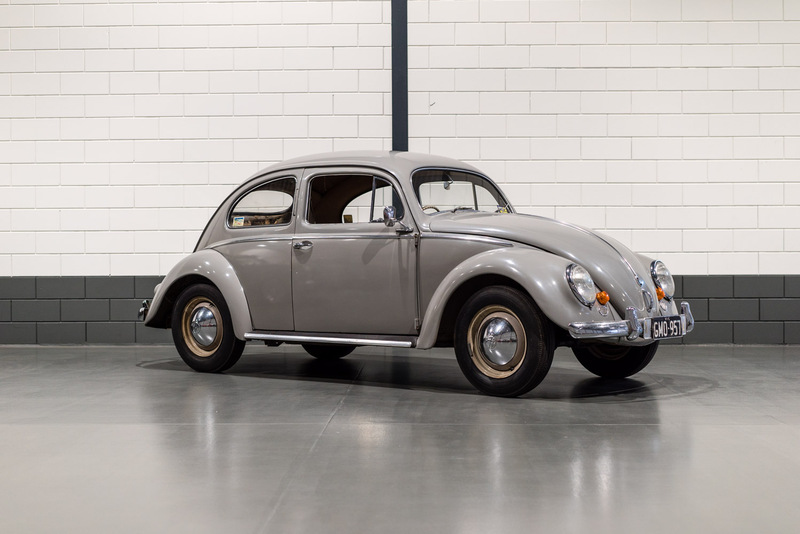 The Volkswagen Beetle was an early adapter, two-door, five-passenger “people’s car” that has seen many upgrades in the past century. 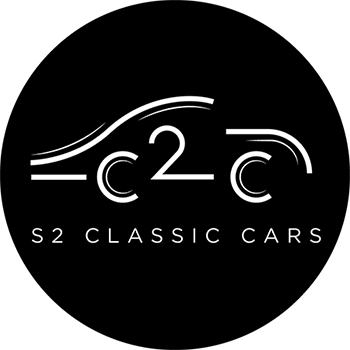 It is the longest-running and most manufactured car of a single platform ever made. The idea behind the Volkswagen Beetle came from the leader of Nazi Germany, Adolf Hitler, who desired an affordable, simple car that could be mass-produced for the country’s new road network. 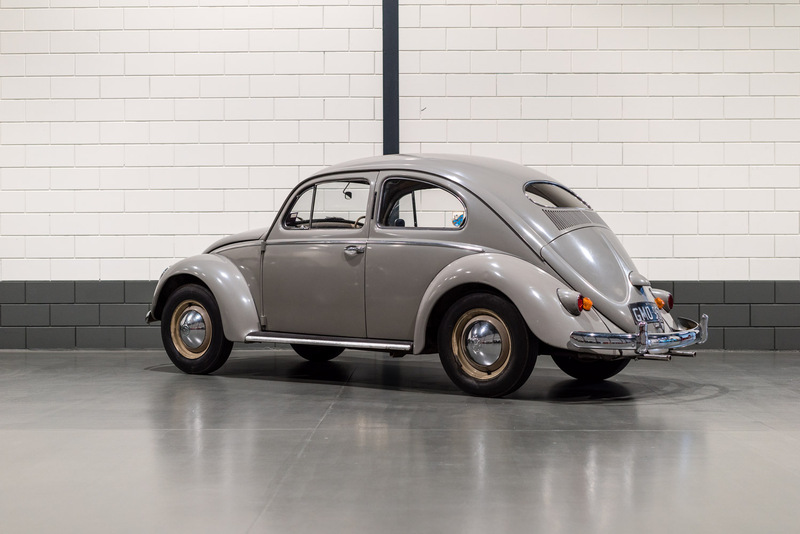 The Beetle was one of the first of its kind – a rear-engined car. Although the car was designed in the 1930s, the Volkswagen Beetle was first produced in 1945. The car became widely popular in Germany, as such the Beetle was more known as its German title “Käfer”, which is German for beetle. 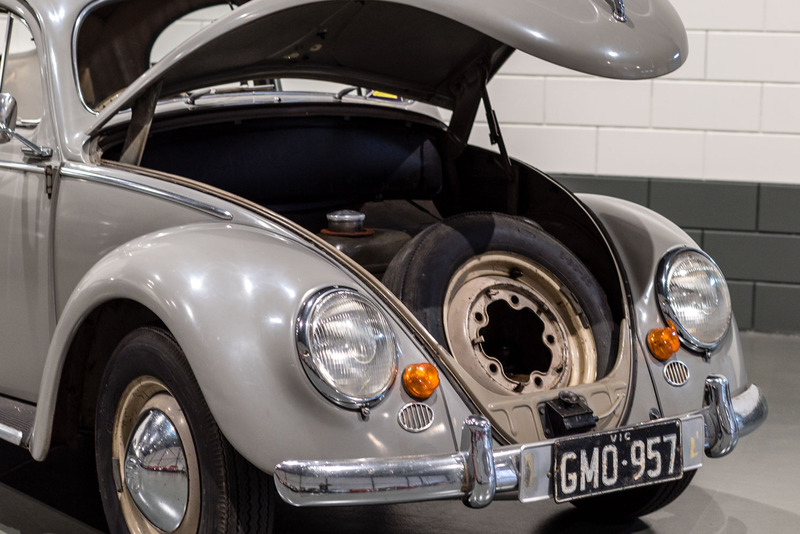 This Australian delivered RHD fine example is unique as it has only seen one owner since new and has been kept in near perfect condition. 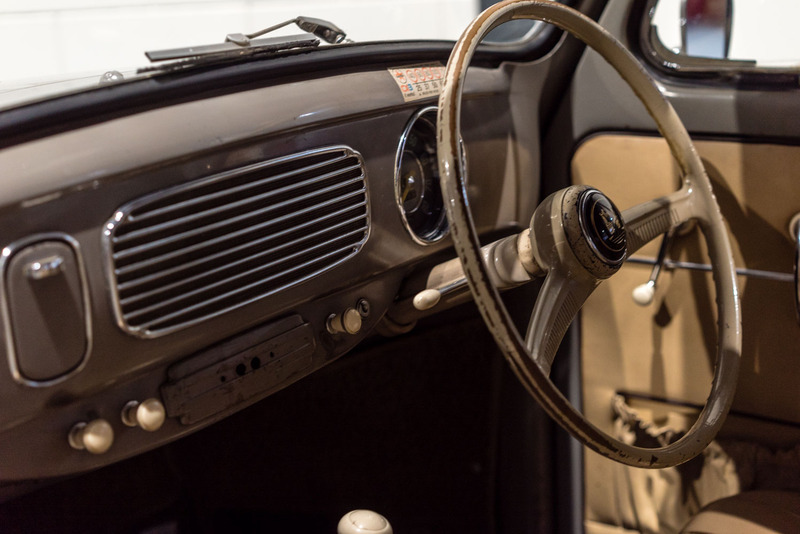 The original grey paint work on this 1956 “oval window” model is still in ‘mint’ condition. 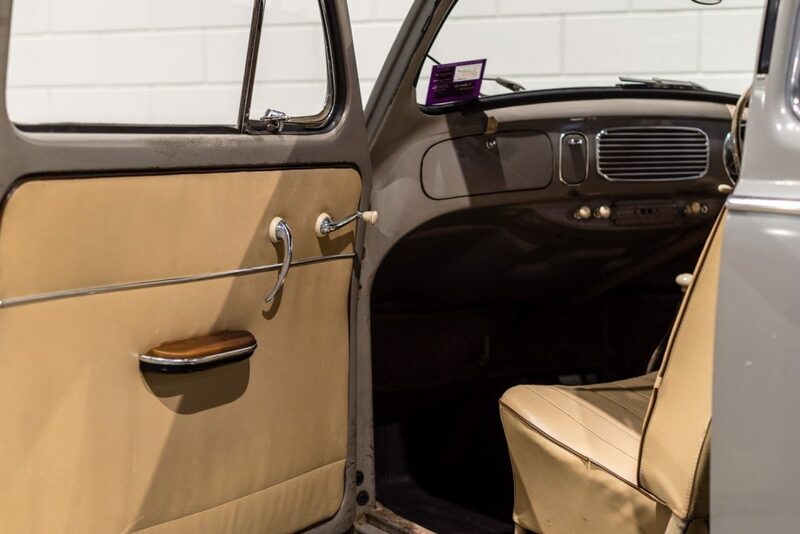 The original beige interior compliments the authentic Volkswagen Beetle coupé, iconic for its production year and has a few repairs. The one owner has taken splendid care of the vehicle only driven 95,000 miles. The car even still owns its own original service book, manuals and tools. 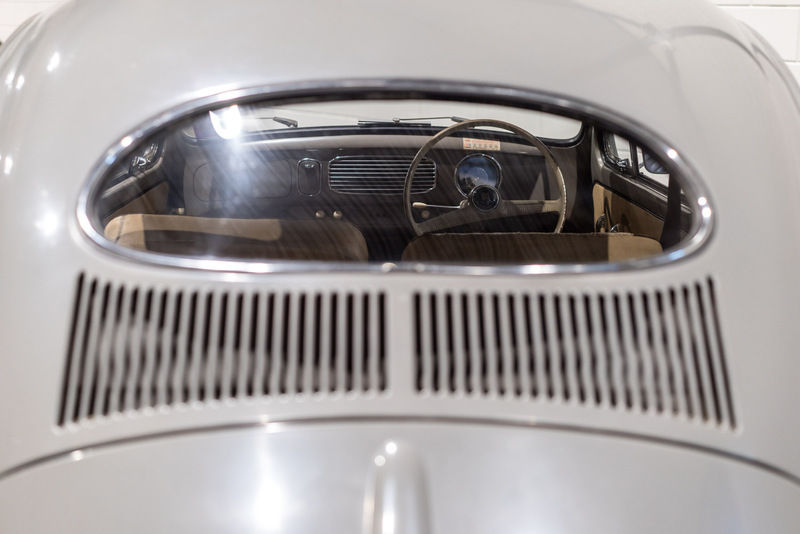 The “oval window” car comes with new indicators as the traffic laws demanded this change. They can be easily taken off for the outside lift indicators, which are still on the car, to be re-used. It has its original engine and drives perfectly. There is no rust on the entire car! For the true collector who loves and respects originality this is it! This car arrived only recently and still needs to be road registered.